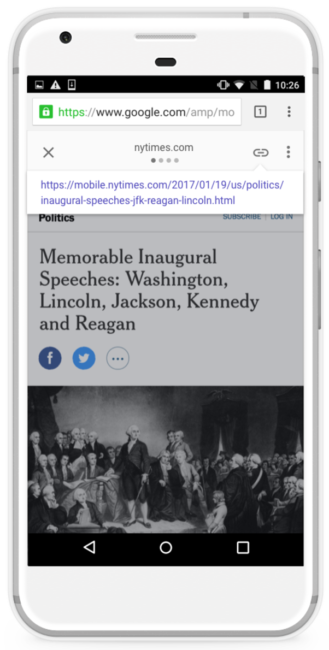 Google's Accelerated Mobile Pages (AMP) project is a decent idea, with not-so-great execution. AMP pages are designed to be extremely lightweight and load almost instantly, as a solution to mobile web sites being generally terrible. Sites have to opt-in to generating AMP pages of all existing pages, which Google then caches on its own servers for faster loading. Unfortunately, AMP pages are a headache for most users and publishers. There's no way to share the original link (without tapping on the header and loading the full page), and the links to AMP results are confusing. Google has started taking steps to make AMP less of a pain, with two key changes in the works. 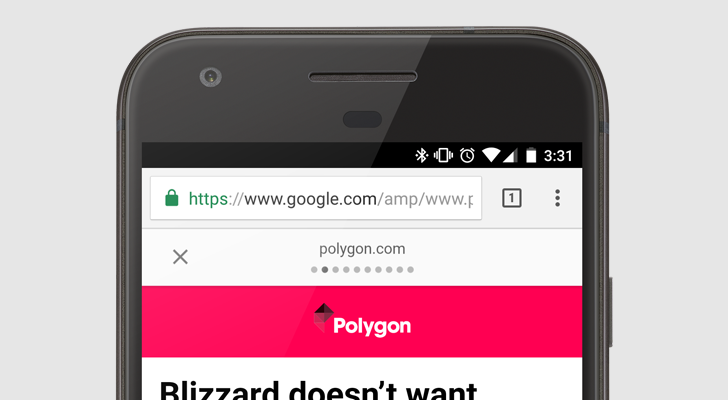 First, Google is making it easier to copy the original link from AMP results. A new anchor button will appear in the header (seen in the screenshot above) that shows the full original link. In addition, Google will use the Web Sharing API (more info here) to add a Share button in the AMP header, which would allow users to send the link to any installed Android app. The link anchor button will start rolling out to search results today, but Share button integration doesn't have an ETA yet. The Web Share API is still a work in progress, and only Chrome 55+ supports it right now (no other browsers).